At Mospens Studio, we believe in one-of-a-kind custom paper goods design. So when our client requested whimsical Greece destination wedding invitations I delightfully researched Greece and Greek traditions and started painting her design. 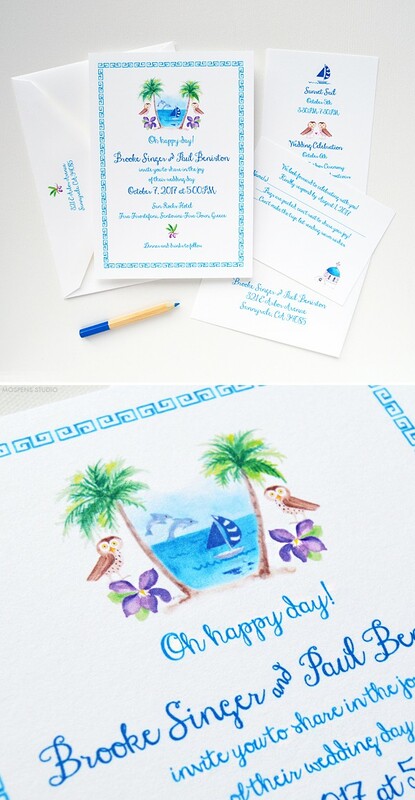 Hand-painted watercolor palm trees, greek themed art, and greek key border was the perfect fit for my clients’ Greece destination wedding invitations. 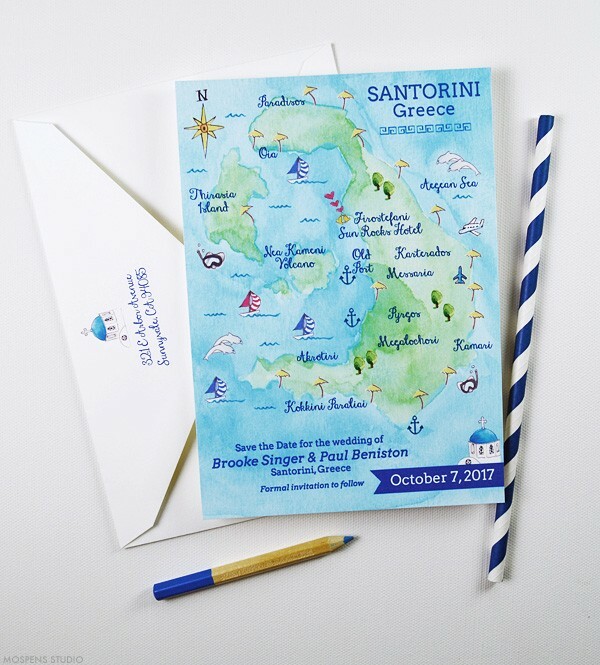 Her wedding save the date was an custom illustrated whimsical map of Greece! Browse a few of my current save the dates and wedding invitations. All designs are customizable. Contact me today with any questions! Set the scene! 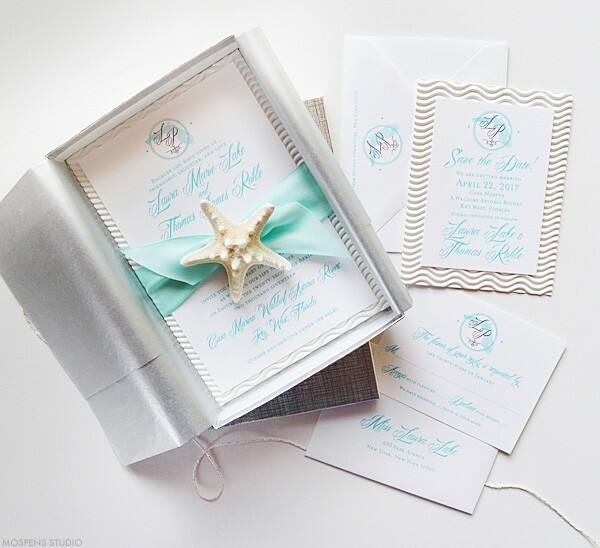 This starfish wedding invitations design is not a new design to Mospens Studio. This Signature Collection design became a favorite for destination wedding couples when it first appeared in Brides magazine and more! 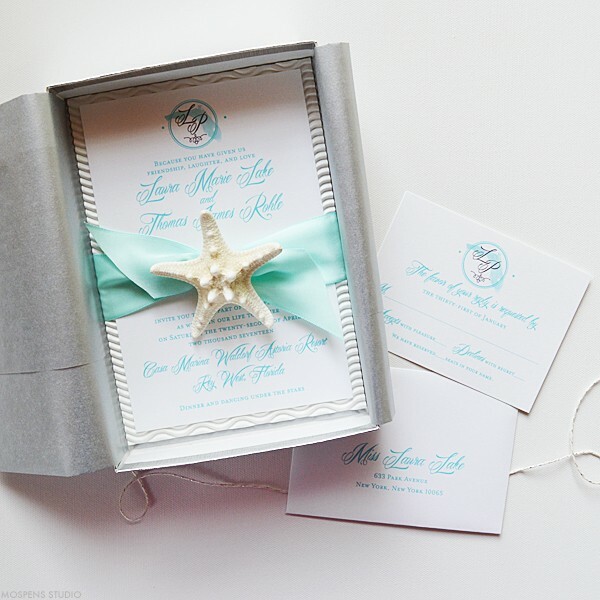 Since then, this boxed beach wedding invitation design has been received by guests such as Pink, David Blaine, Joe Pesci, and many more a-list celebrities when Robert De Niro’s son and his lovely wife featured our invite for their wedding. Truly a STAR-WORTHY invitation design. 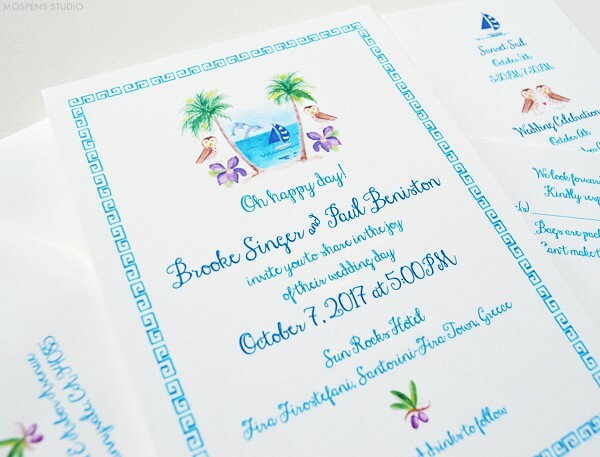 Anna and Paul, who married in St. Barth, French West Indies, enjoyed this design for their beach wedding invitations. 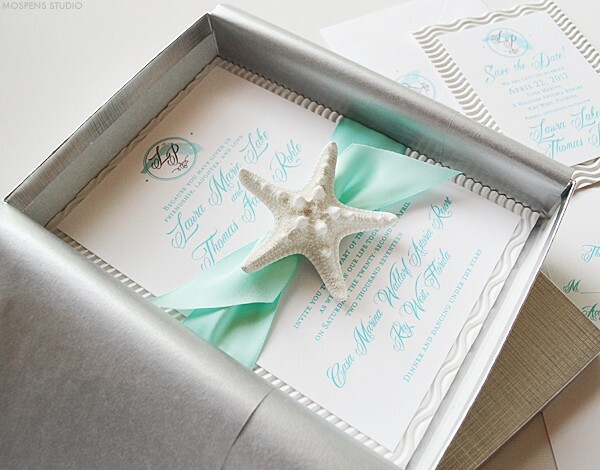 Starfish and wave board are the perfect pair to Florida beach wedding invitations. Mint green inspired by Tiffany blue is a fabulous Florida destination wedding color. Add a bit of elegance with silver tissue paper and invitation boxes. 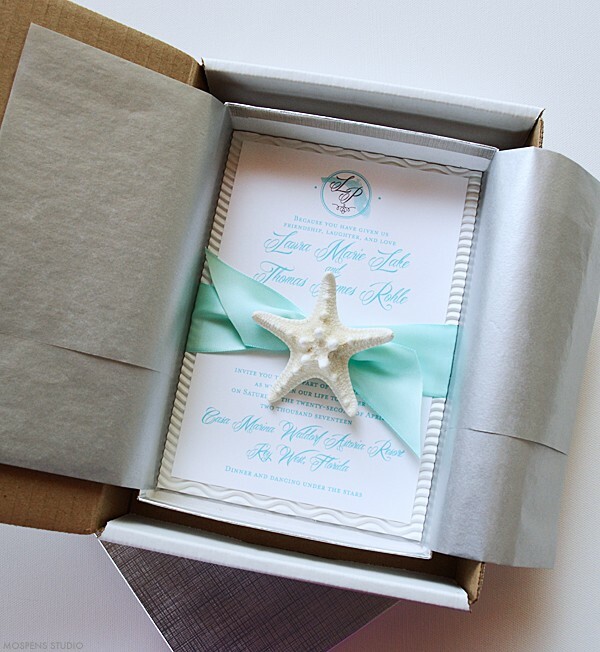 We think this is the perfect starfish wedding invitation! The natural knobby white starfish adds great texture, perfect for a beach wedding! 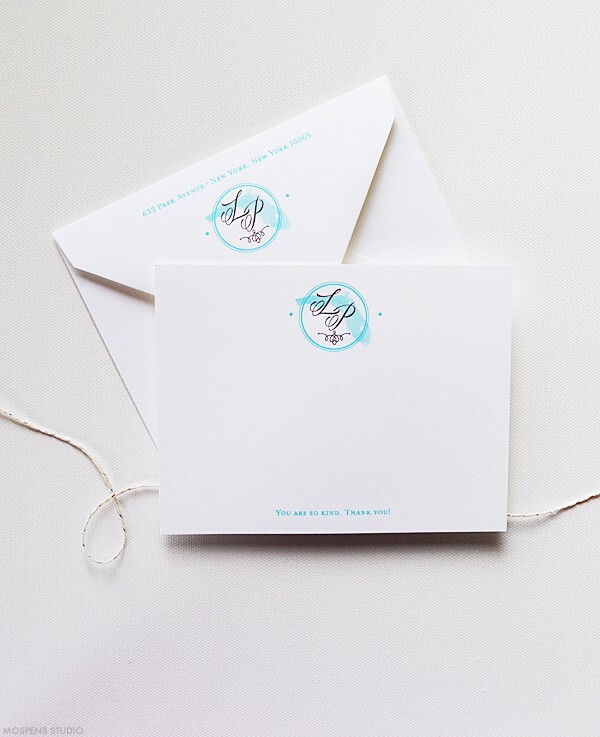 Matching reply cards, save the dates, thank you notes, place cards and more available. 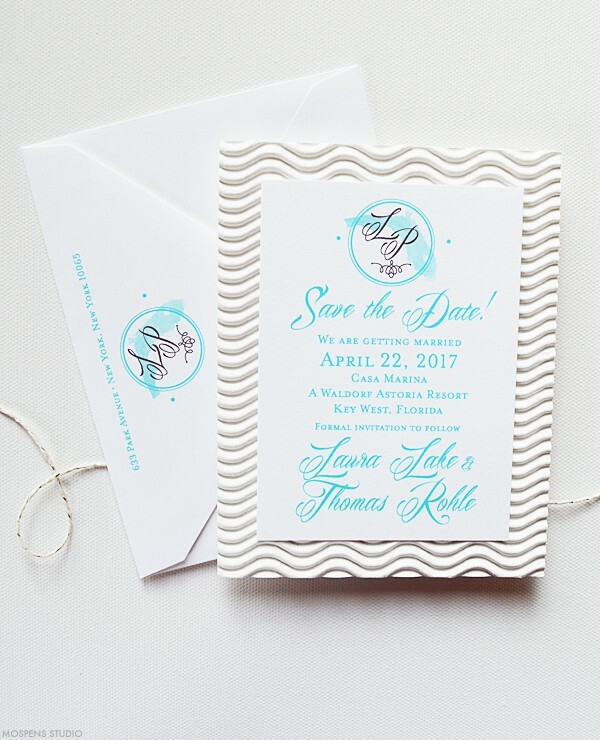 Completely customizable and available in mint green blue (shown), aqua blue, coral orange, lilac purple, pastel yellow, and taupe colors befitting a beach wedding. A perfect match, our save the dates and thank you notes. Getting married in Hawaii? We can change the Florida state monogram to a lovely shaped Hawaii state just for you! Our son Logan has painted MANY states and they are now available for this design. Many colors of tissue paper also available. When ordering just let us know. We will design the best combo for your custom wedding invitations. 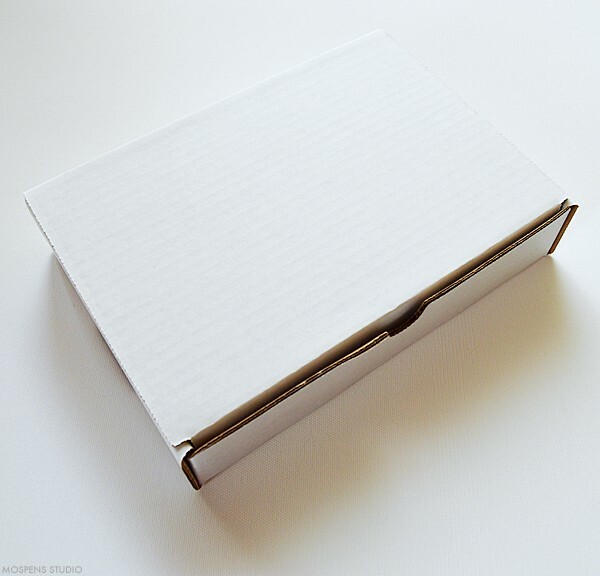 At Mospens Studio we prefer to box our elegant box invitations in a mailer. 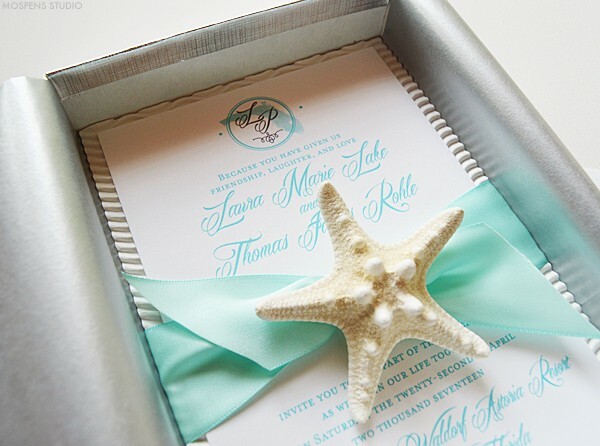 Perfect for keeping your luxury starfish wedding invite safe and in great condition upon their arrival to your guests. 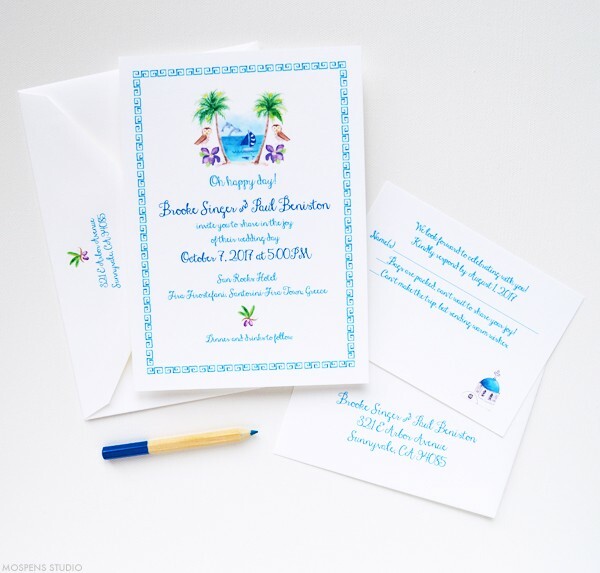 View more of our exclusive watercolor and creative Beach wedding invitations and stationery designs! Tiffany-inspired blue green color is one of the most popular wedding colors on Pinterest! Follow me there to find inspiration for your wedding and celebrations. I just designed this rustic fall elegance *wedding branding* mood board for my newest custom invitation clients Laura and Kyle. Rich navy and berry hues paired with country straw kraft and white textured wood folders are perfect for a fall wedding! They are inspired by my Romantic Woodland and Going to the Chapel rustic wedding invitations. A custom pocket folder invitation will be designed to fit their wedding theme perfectly. Custom hand-illustrated motifs will include hops and the brewery building will then be hand-painted on each handmade wedding invitation. LOVE!!! After you order custom wedding invitations + stationery from Mospens Studio, an inspiration *Wedding Branding* board may be made for you! Sources: 1 /2 / other photos shared, no reference to source.